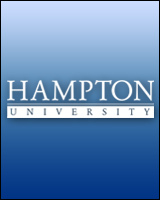 Dr. Cole Wilder joined the faculty of Hampton University School of Pharmacy in September of 2017, where he currently teaches Pharmacokinetics, and Infectious Disease Therapeutics and Cardiovascular Therapeutics portions of the Drug Disease Management (DDM) series. A native of East Tennessee, Dr. Wilder attended an accelerated Doctor of Pharmacy program at the Appalachian College of Pharmacy in Oakwood, Virginia, earning his Pharm.D. in 2012. He then went on to complete a PGY1 Pharmacy Residency at Bristol Regional Medical Center in Bristol, Tennessee. After completing his PGY1 in 2013, Dr. Wilder pursued additional post-graduate training in Emergency Medicine at Tampa General Hospital in Tampa, Florida. Prior to coming to Hampton, Dr. Wilder worked as a clinical pharmacist in both acute care and long-term care settings in Tennessee and South Carolina. He has been board certified in Pharmacotherapy since 2013 and Critical Care since 2015. He currently practices as a Clinical Specialist at Sentara Norfolk General Hospital, with Eastern Virginia Medical School Internal Medicine. In his free time, he enjoys reading, cooking (and eating), hiking, camping, and badly playing a variety of musical instruments.